101 things to do with Soak | 018 Fabrics. Quilting. Pre-washing. Truth be told, I love it more than yarn. I love looking at it, cutting it, designing with it, wearing it and resting under it. My mom was a clothing designer. I grew up with fabric. 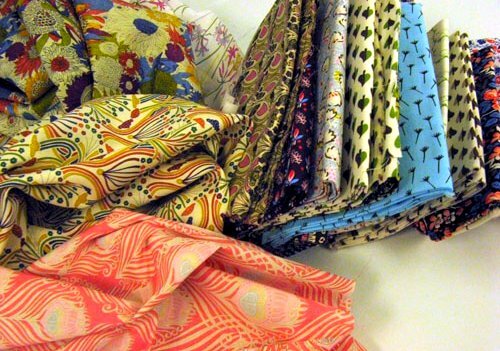 I’ve recently acquired an exceptional stash of Liberty of London fabrics from a recent trip to England. My first thought was to introduce these limited edition fabrics from the V&A collection to my stash immediately, so the various prints, colours and textures could get to know each other. My fabric stash enjoys new friends. I also had a few select acquisitions from the Liberty store itself but I wanted to include some of them in my summer quilting projects. I knew what had to be done. They all needed to be unfolded from their neatly packed pile and given a good Soak. 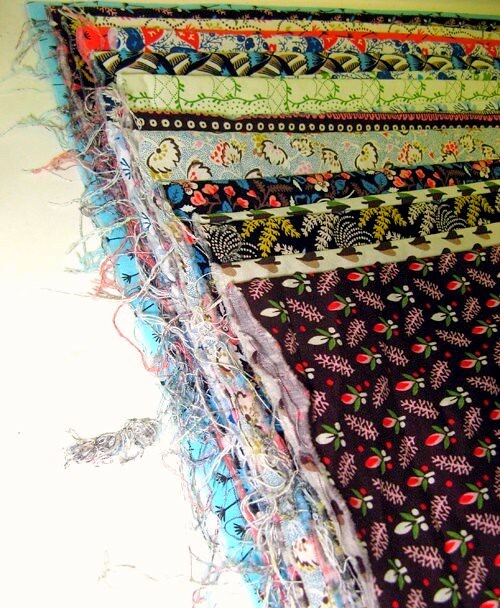 There are some basic rules to pre-washing quilt fabrics. We’ve talked about pre-washing fabrics for textiles in general, but here, we’re talking quilting specifically. The liberty fabrics I bought at the V&A suggested cold water wash, and discouraged drying, ‘do not tumble dry’. 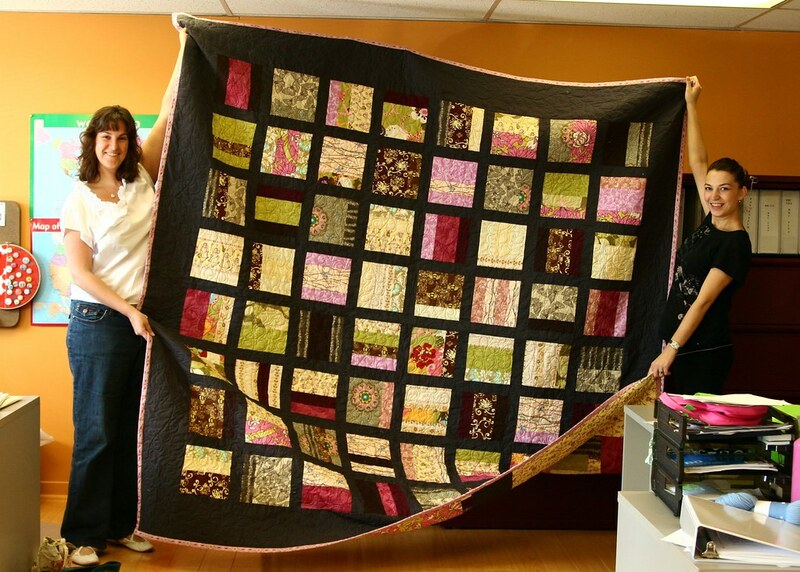 First, if you are making a quilt that is going to be used, like this one which was a wedding present for my cousins in the UK, at some point it is going to be washed. Second, if a giant quilt gets wet, it is likely to end up in the dryer, regardless of instructions. So, I recommend pre-washing and drying all fabrics. I did wash and dry my liberty prints, fear not, I’ll share my secrets. First, unfold all your fat quarters, yardage and fabric. It is essential that the pieces be loose and relaxed when they go into the wash. If you have (or have access) to a front loader, I would suggest using it. The agitation caused by the upright machines does add a bit of roughness to the washing (and it tends to increase fraying). Use cold water, and of course, Soak. Nothing too crazy happens in the washing machine. Sometimes, you get a bit of fraying at the edges, but mostly you just end up with a tangled bunch of fabric swatches. It is imperative to separate and loosen all the pieces again, before they go in the dryer. Drying is an important part of the washing process, arguably, the most important. For my machine at home, 6-9 minutes on medium heat is enough to dry cotton. I highly recommend not leaving the room during drying. Your goal, when drying fabric is to remove most of the moisture, while leaving the fabric slightly damp so you can take it out, flatten it and keep it from wrinkling. Clearly I left my liberty print too long, it wrinkled. I am not looking forward to the arduous ironing that will follow. Every fabric and every machine commands different drying times. Once again, grab your favorite craft magazine, say, the summer issue of Studio magazine, featuring Soak and hang out in the laundry room. Your fabric will love you for it. I remove a few pieces at a time, fold them in half and flatten them out. The continuous movement and heat from the dryer keeps the cotton soft and wrinkle free. If the dryer finishes and the cottons remain still, they will wrinkle. I suspect Liberty suggests not drying, to avoid wrinkling and the countless hours that follow, should one choose to try to iron the wrinkles out. Here is my stack of fat quarters after I took it out of the machine. Note the small amount of fraying that occurred along the edges. 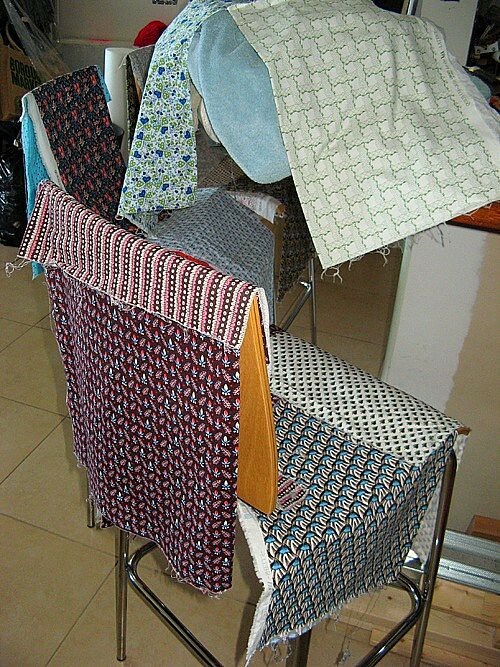 When I get my fabrics back upstairs, I drape them over chairs and other firm objects, to air dry. 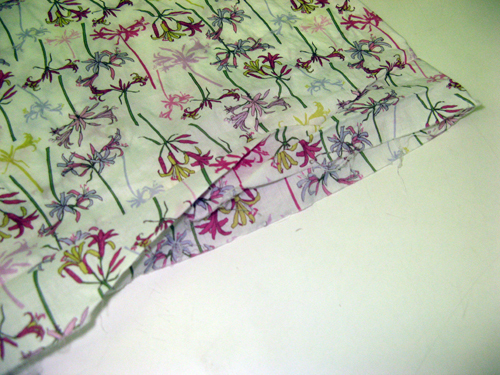 Once dry, my fabrics were transferred to the stash where they took great comfort in all the other prints. Some were cut up for my summer project, as I mentioned, and more importantly, the rest are ready to go on a moments notice. There’s nothing worse than wanting to start a new quilt and knowing you have to do laundry first. That’s how unwashed fabric ends up in quilts. 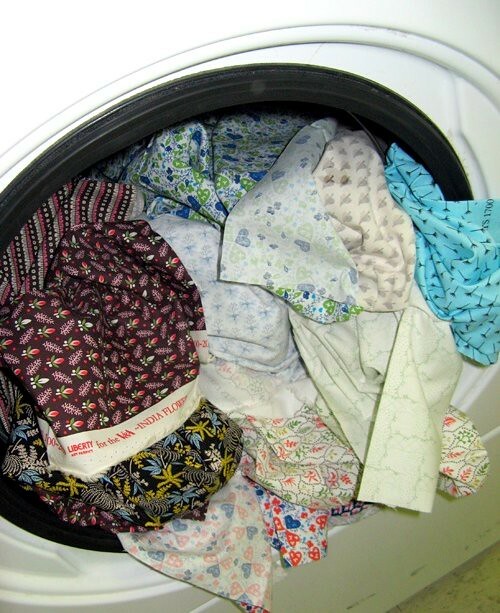 It’s never pretty, so wash new fabrics immediately for safe keeping. Distracted by the liberty prints? 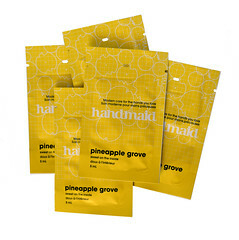 Find them in Canada at Hyggeligt. 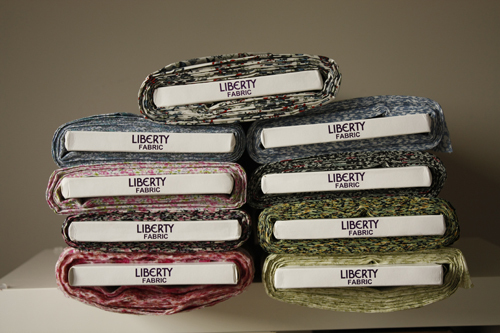 Your local home for liberty prints. Both online and in a store front in London, Ontario, Hyggeligt is a haven for fantastic prints. I’m grateful that some of my chosen prints can be found there. I will never be without liberty again. 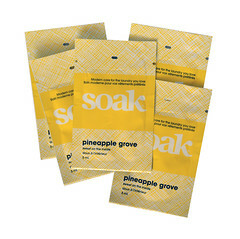 Oh, and if you pass through, they also now stock Soak!